Shabby Apple - what an interesting name! This is what comes to mind when I think about that title. Shabby - relaxed, a little retro, not uniform, free-spirited. Apple - Abundaance, nourishing, of substance, roundness as opposed to angular, many colors and textures. And indeed this is what you find at www.shabbyapple.com, home of beautiful women's dresses, both vintage and modern, also with accessories and maternity clothing. Not only do you find dress after beautiful dress in their big selection, but they are all bunched into different themes! There is Yosemite, Inca Trail, Up And Away, Carousel, The Berkshires and more. Each of these themes takes my imagination away to a beautiful place where I'm not at right now but would love to step into, if only for just a few moments. What better way to do that than with a gorgeous dress that fits the mood and surroundings of the location? From The Yosemite Collection - "El Capitan"
From The Up And Away Collection - "Fork-Tailed Devil"
They have a wonderful collection of little girls dresses from Shabby Apple too! 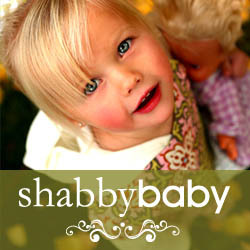 I'm excited to be able to offer a great coupon code for 10% off anything at Shabby Apple! The code is: agalneeds10off and it is good for 30 days from today! So hurry and get shopping! My Giveaway: I chose a beautiful and conversation-worthy piece from the jewelry collection. It's a beautiful pendant from the Alice In Wonderland collection. The Mad Hatter's Time Keeper was interesting to me because it is both chunky and delicate at the same time. 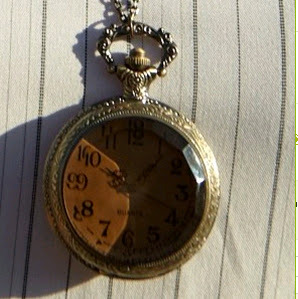 It's an Antique brass filigree pocket watch with etched detail on back suspended on a delicate 24” long chain. The pocket watch face opens up to reveal a working clock. Handmade in the USA and valued at $66.00, it will be a great addition to any jewelry collection! Enter the giveaway: Complete the mandatory entry in my first Rafflecopter giveaway and any other entries you care to do! I need the glacier dress. How do you get a Shabby Apple giveaway on your blog? This is fantastic, BTW. Love the Lake Titicaca dress! I love the Gondola dress. I really love the MAIZE dress! I love the dress called the B-17 Bombshell. Hey! I need the perfect black dress, which for me seems to be the Volcano at midnight. *swoon* so pretty, so pricey! I love the cotton candy dress! I really (HEART) the Museo Floral Scarf! I really need that cider dress! I must have the Pina Colada dress! I need to have the venezia swim suit!!! i want the Hibiscus dress for my daughter!!! I LOVE THE ALOHA DRESS. HOPE IT GOES ON SALE SO THAT I CAN BUY IT. I LOVE SHABBY APPLE THEY ARE AWESOME. i love the gondola dress! I love the Cleo & Antony dress, it's so classic! My favorite is the Andes skirt! I Need to have the All Ruffled Skirt! Thanks for the opportunity! I didn't know they had fitness clothes! I need the Raven Mama dress! Oh my goodness do I need that dress! I love the All Ruffles skirt! I LOVE the Champs Elysees dress. Their clothes are so unique and pretty!